I have been wanting to actually use my cookbooks lately. I tend to make the same things or just make up stuff. I think I was inspired by this post on the Not Martha Blog. She and a group of friends have a cookbook club and the feast they had from the book they chose this time not only made me want to use my cookbooks, but also encouraged me to buy yet another cookbook. So, I thought I better start using all these recipes I have been collecting! Isn't a cookbook club a great idea? I loved that post and all the food looked so good! Lat weekend I was invited to a brunch potluck. 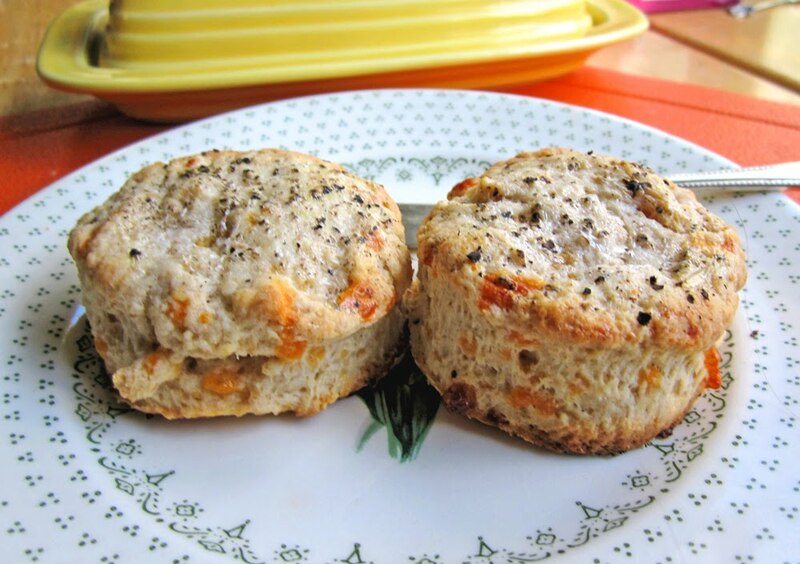 I decided to make the Cheddar and Black Pepper Biscuits I saw on the blog Joy the Baker a couple months ago. I made them smaller than regular biscuits since I knew there would be lots of food and people may not want a large biscuit. They were really good, more like scones I thought. With butter, they were the best, but also good plain, too. Last night I made something that was called Farmers Market Spinach Cannelloni from the cookbook Foods to Live By published by the people behind Earthbound Farms (they have lots of recipes on the website, but not this one). It had lots of steps, but was still pretty easy. I easily get intimidated by recipes, so if I did it you can bet it wasn't too complicated. 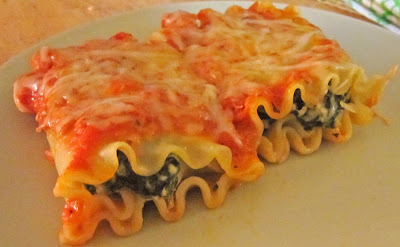 The recipe didn't call for cannelloni shells, but just rolled up lasagna noodles. It was quite tasty and something you can easily make in advance or freeze for later. It was fun to put together while the mister and I watched a old movie. I am excited to make some more new things. Do you use your cookbooks or just collect them. They are entrancing aren't they? 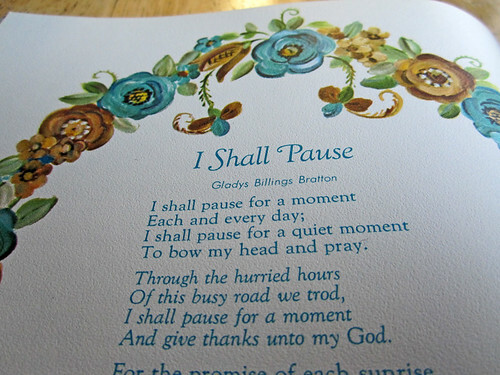 When was a bout 6 or so, a man who worked with my father making educational films gave me two books, A Child's Garden of Verses and A Child's Book of Poems. 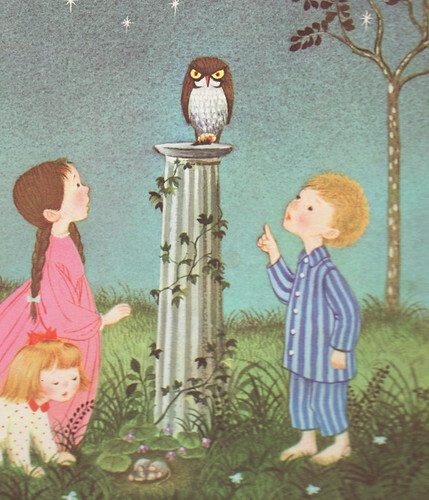 Both were illustrated by Gyo Fujikawa. These books had a big impact on me, although I didn't notice it till many years later. The illustrations were so beautiful. 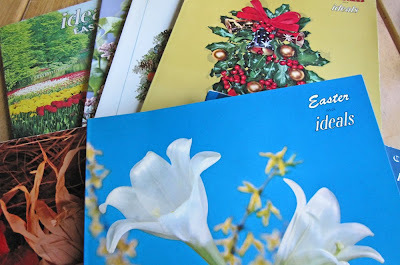 Many of the poems dealt with seasonal things. There were lots of winter poems about the joys of skating and snow and cold and coming in from the cold. The images with them were so enchanting and charming. But, they confused me a bit and made it clear to me that I was missing out on a lot of neat stuff living in Southern California. January didn't mean snowmen to me. I never needed to bundle up to do anything. And except for a few vacations, I wore my scarves and gloves mainly to go to the ice skating parties at the indoor rinks. I also noted that there was supposed to be lots of rain in April, winds in March and other people had lots of leaves to rake up and burn in fall. The whole seasons thing captivated me and that has never really gone away. I think these illustrations were the first thing that really affected my desire to move North and have more weather. I love that in Portland we have true seasons without it getting too out of control. 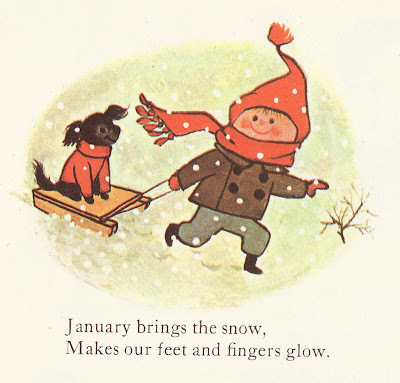 Gyo Fujikawa was a American born Japanese woman. She was born in Berkeley, California and she did some work for Disney in the early years. 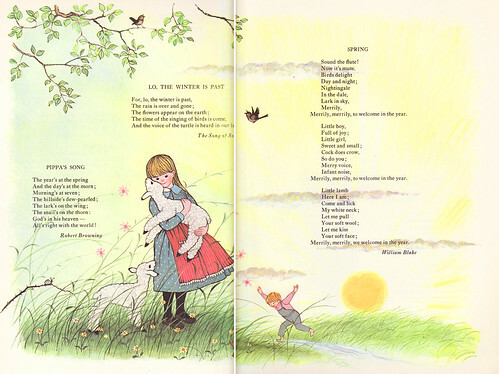 She was one of the first illustrators to get royalties from books instead of just a flat fee. She was interned with her family during World War II where she continued to do advertising layouts. She never married or had children. She died at 90 in 1998. A lot of the prettiest pages in the books I have are on both pages. 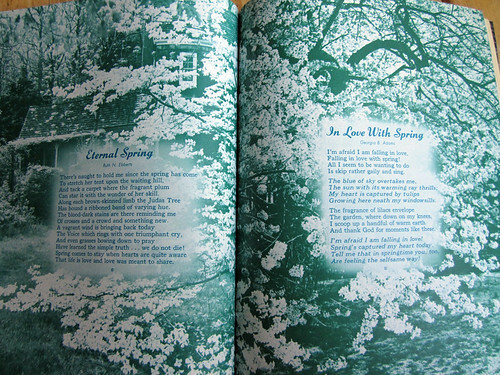 I scanned these two to share with you in honor of yesterday being the first day of spring. Click through to the flickr page to see the bigger size. While I was at the coast a couple weeks ago I got to visit a place recommended by my beach house roomies, a recycle center called Cart'm. Cart'm is like Scrap in Portland, if you are familiar with it. 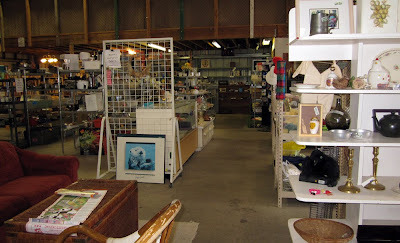 It is a place to recycle all kinds of things and they have a resale store with some great stuff in it. 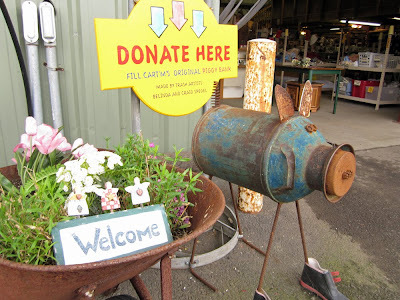 Outside is a little garden with neat outdoor art made from recycled products. It was fun to see all the neat stuff they had come up with. A substantial stash of a vintage magazine were found in the store. The magazine is called Ideals. It is a strange magazine that was in print for 50 years. It was filled with all kinds of illustration art, mostly poetry and no ads. It was Christian and there are lots of Christian images and poems, but for example, the Easter issues still had lots of easter Bunny stuff, too. It used lots of reader contributions. The illustrations are amazing. 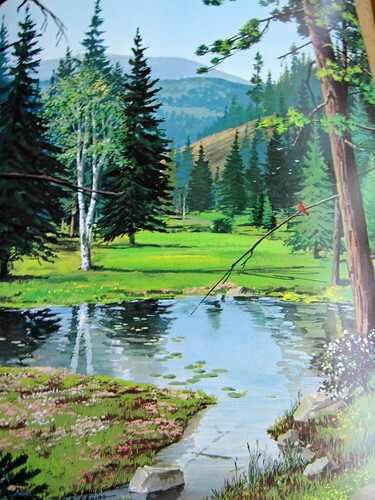 The colors are great, so saturated and rich and the styles are great, they remind me a lot of stuff I saw as a kid. They are awesome for collage. It is hard to cut into them, but I will, when I finally get the focus and space to do those collages I keep talking about. Anyway, Ideals Magazine seem to be pretty available on Ebay. The issues came out with themes. I got a bunch of Christmas ones that are great. Here are some images from the Easter ones. More images on my flickr account. 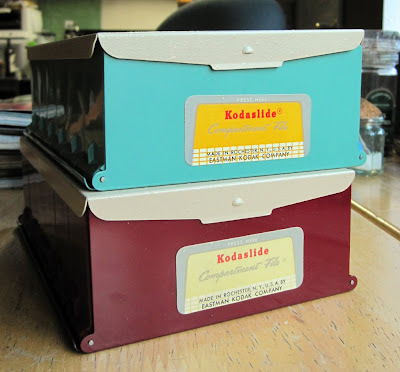 I also got these awesome slide storage cases while I was there. I love the style of these. 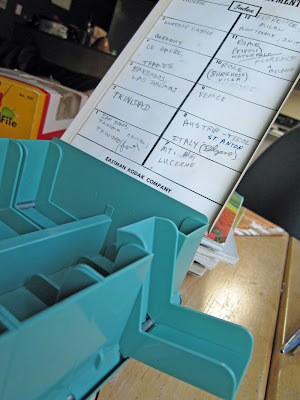 The compartments flip out to access the slides. I don't know if I ill actually use these for slides, but I might. I certainly have inherited enough of them. So, yeah, check out Ideals magazines if you come across them and Cart'm when you are near Manzanita, Oregon. Good stuff. March is already underway and I have not posted the list for this month yet. If you are wondering what this is you can see this entry. All so far can be found here. I never knew March 17th was pea planting day! I hope your March is nice. Maybe you can fit in some grasshopper pie.